Opus Arcade is a new hair salon and art gallery in Evergreen Park of Palo Alto. a wonderful excursion as you visit our passageway. based in San Francisco who paints, sculpts, illustrates and designs. with "Hello Halo" and "Bodacious Banana Split". his exhibit is open now for your viewing pleasure. anytime during our flexible business hours. 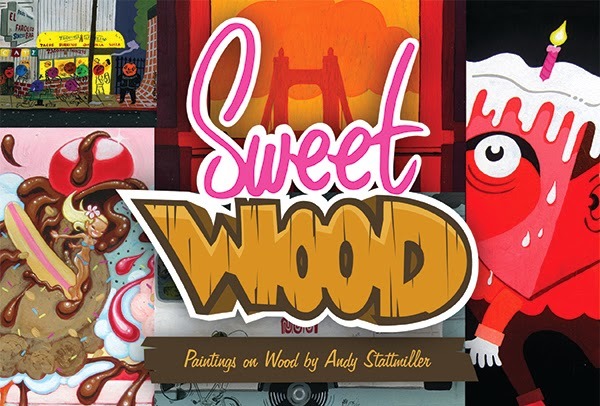 Come join us for the reception for Sweet Wood! Sunday, January 12th, 2pm-5pm.